This Place of Worship was founded in 1868, but we understand it was closed in 1897, and the premises are now in secular use. NOTICE is hereby given, that a separate building, named Wesleyan Chapel, situate at Bolsover, in the parish of Bolsover, in the county of Derby, in the district of Chesterfield, being a building certified according to law as a place of religious worship, was, on the 20th day of October, 1891, duly registered for solemnizing marriages therein, pursuant to the Act of 6th and 7th Wm. 4, cap. 85. Dated 20th October 1891. It was replaced by a new and larger building in 1897, further up the street. Thereafter, the registration for marriages passed to the new Chapel, whilst the old building served as Sunday School, attached to the new building. 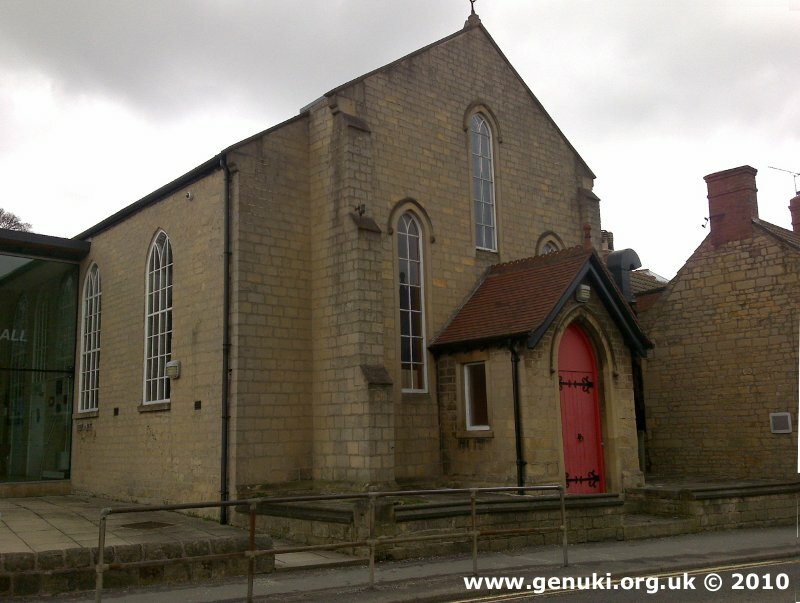 In the present day, however, it has become (according to the sign above the entrance at the side) "Bolsover Assembly Hall & Community Centre". Hill Top Chapel (now Bolsover Assembly Rooms), Bolsover shown on a Google Map. Information last updated on 22 Nov 2014 at 11:48. Please also remember that the former Hill Top Chapel (now Bolsover Assembly Rooms) is understood to be in secular use, so care should be taken to preserve the privacy of its occupants. This Report was created 29 Mar 2019 - 20:26:00 GMT from information held in the Derbyshire section of the Places of Worship Database. This was last updated on 6 Feb 2019 at 15:49.